The United States-based global social tech giant would be the largest entrant to the consumer blockchain, and cryptocurrency space. Facebook could become the most important company in Crypto. News broke yesterday that Facebook is building a stablecoin (crypto coin) that will be launched to allow WhatsApp users in India to transfer money. Of course, the immediate reaction of those in the space was to start yelling. Many people were excited, others were upset about the company’s recent privacy issues, and some felt that a Facebook stablecoin didn’t fit the authentic ethos of the crypto industry. All of these reactions missed the mark though. Zuckerberg and the Facebook team have never been interested in playing it safe. The highly talented team consistently looks to invent and/or grow products that change the world. If Facebook is building a stablecoin for WhatsApp, this is less about crypto and more about building a globally dominant product that changes the way billions of people live their lives. 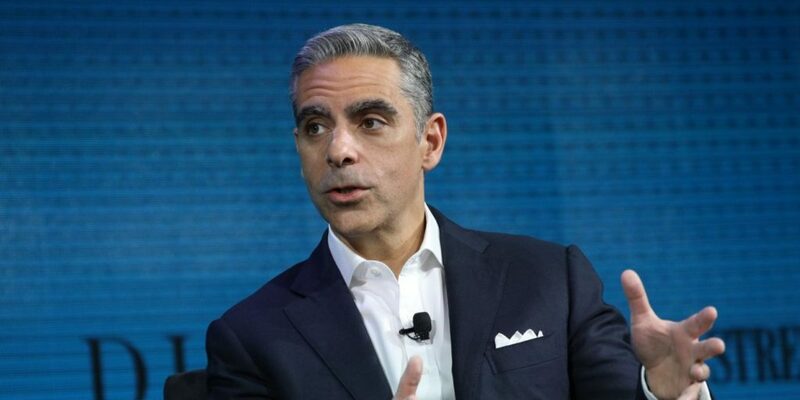 David Marcus who leads the blockchain team is the former President of PayPal. Kevin Weil is the VP of Blockchain Product, previously served as the VP of Product at Instagram, and was once the SVP of Product at Twitter. Evan Cheng is the Director of Blockchain Engineering and was a former senior manager at Apple. And finally, Morgan Beller is the unsung hero of the group — the woman who leads blockchain strategy, but worked solo on the project for a period of time before she was able to build internal support and recruit some of the company’s best talent. Couple these individuals with Facebook’s notorious “Growth Team” and you have a recipe for success. The Growth team is the company’s secret weapon. They are brought in like a SWAT team to solve the hardest problems by leveraging immense amounts of data and the proprietary analytical tools that have been built over the years. This team has helped four separate Facebook product teams scale their offerings to over a billion users each (Facebook main app, Messenger, Instagram, WhatsApp). So what exactly is the potential for this team? The holy grail would be to build the world’s dominant payment system. This would be a direct competitor to Visa and Mastercard, but it is more likely to happen than you may think. Facebook has billions of users and tens of millions of merchants. This gives the company a leg up on competitors as they bootstrap the network effects needed to lock in both sides of a marketplace. If Facebook could successfully build the product and drive adoption, they will have a chance to transition from a social network to one of the largest financial services companies in the world. This move would allow them to take a small percentage on each transaction and reduce the dependency on their advertising-based model. (5) build out additional financial services to serve their customers. It wouldn’t be surprising to see Facebook back their way into becoming a new-age bank for digital natives outside the United States. Facebook could be the most important company in crypto. They have 2+ billion people who use their services daily. Anything they launch will quickly become the most popular product in the industry….maybe even one of the most popular products in the world. The social network company — under fire for a seemingly constant stream of privacy snafus of late — created an internal blockchain divisionin May and, while there has been plenty of speculation, the exact nature of its work is unclear. If the U.S. giant does carry out the plan that Bloomberg is reporting it would (easily) be the largest company to embrace consumer blockchain service. That’s both in terms of the size of the business — a $376 billion market cap and annual revenue of more than $40 billion — and the user base it touches. Facebook reaches more than 2.2 billion people for its core social network, 1.5 billion for WhatsApp, 1.3 billion for Messenger and a further one billion via Instagram. That makes this a thread worth pulling, so let us get into it. Stablecoins have become all the rage in the blockchain space during the second half of this year, with scores of projects popping up to provide solutions — but let’s start with why. Blockchain as programmable and border-less money has potential, but stability is a huge concern. Bitcoin, for example, hit a record high of nearly $20,000 one year ago; today its price is just over $4,000 but, symbolically, it fell below that figure in recent months. The ride for “altcoins” has been even bumpier. Yet, despite a simple premise, there are no current examples of a proven and successful stablecoin, despite the many who have thrown their hats into the ring. Tether, the highest-profile project, is dogged by concerns around its financial backing. The organization behind it has never shown that it has the required fiat currency to back the tokens in the market, while its value has previously slipped below $1…..